One of the most annoying things that you might experiences as a blogger and SEO is receiving a spam. There are so many of them and there are reasons behind spamming. The thing about spam is that sometimes they try to convince you with their offers and products, that may look true to those who are new to this kind of business but if your hair has become white already, you will not be misled. And do not let yourself be misled by these spams. You might have experienced funny things like any of the written below. By merely looking at the names of the links you can widen your imagination and somewhat conceive in your mind figures of mythical creatures. Yes, that is true. And you will know what I mean later. Be careful if you will encounter these things for they might deceive you. Be on guard of your links and of your site. Go back to your comment section in your platform and look at the comments sent by different commentators. Have you seen any of these links? If you have seen one, I would like to tell you that there are people who are trying to disguise as if they are link givers and connected to Adsense, etc. Who the are these visitors of my sites namely; Adsensewatchdog, Zombiestat, Vampirestat, Villainstat and Uglystat? Why Adsensewatcgdog is monitoring my site? Is it Adsensewatcgdog really sites of google adsense that monitors my site? Why this Vampirestat, Zombiestat, Vampirestat, Villainstat and Uglystatis always checking and monitoring my site? Haha! Surely, you are laughing right now if you already knew them. Most of us bloggers search information about this visitors in our site and looking for an answer to satisfy our minds that our blog are safe. I assumed that all of bloggers click the links and visited that sites to try and see why and who are those sites that regularly visits our blogs. Here are my Tips: First of all, don't click on them to find out why they are sending you traffic. Neither Adsensewatchdog, nor any of these sites have anything whatsoever to do with Google or Google AdSense. 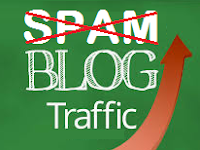 They are merely not essential to your site because they are spam sites that use automated traffic to every old and new blogs to attract clicks to their own sites from blog owners such as you for them to earn with their advertisements. Once you're at their site, at a minimum, you'll be feed by ads. And worst, you might be a victim to malevolent code that seeks to infect your computer that may capture your valuable information installed or saved to your browsers (although I haven't verified that these particular sites are seeking to plant anything on your machine). Stay away from them and be assured that all traffics from these sites won't affect your standing with the real Adsense account nor any adnetworks you are working, so just ignore them and keep blogging..
Un nga din pansin ko sa blog ko, dati nagclick ako niya kasi di ko pa alam kung bakit nag send sila ng traffic sakin. spam pala. oo normal talaga yan basta sa blogger. Ignore nalang sila. wala naman appekto sa blog natin yan. Thanks for sharing your experiences about those spam sites above. Happy blogging! Welcome, oo mga fake traffic lang yan.. Thanks D2 brod!!! NUng una ngtataka ako bkit twing ngpopost ako andun agad ung Adsensewatchdog!! pero ngaun alam ko na spam pala ehehe thanks ulit!!! Welcome po. Thanks for dropping by...Happy blogging..